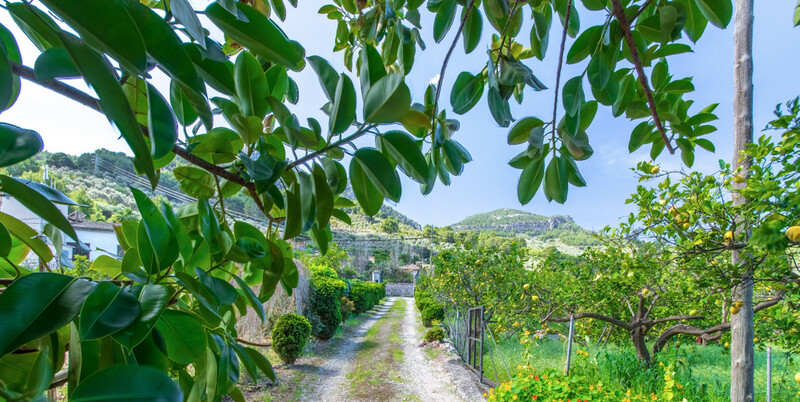 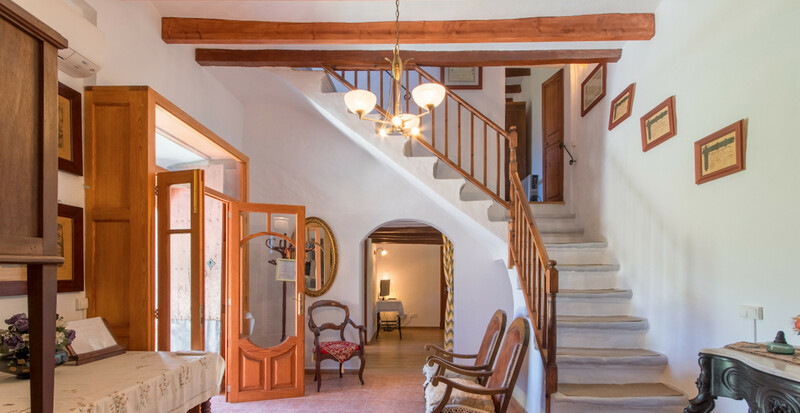 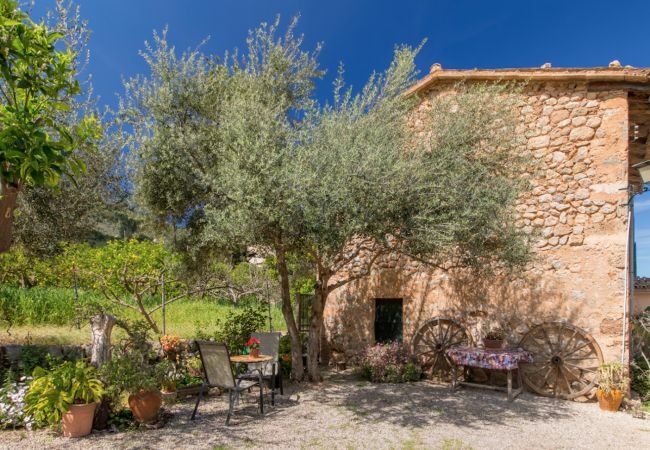 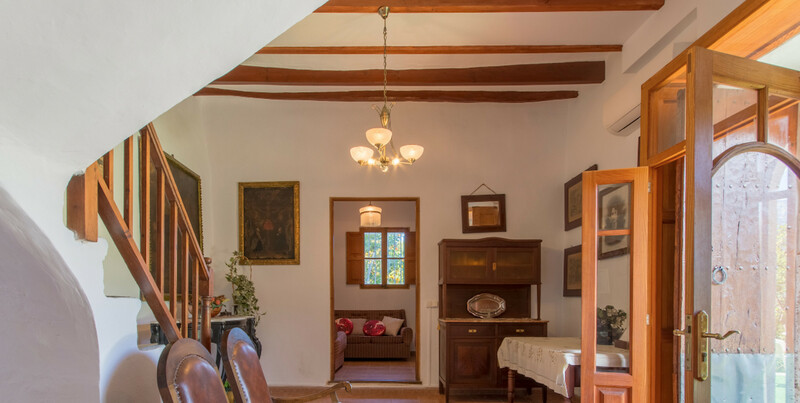 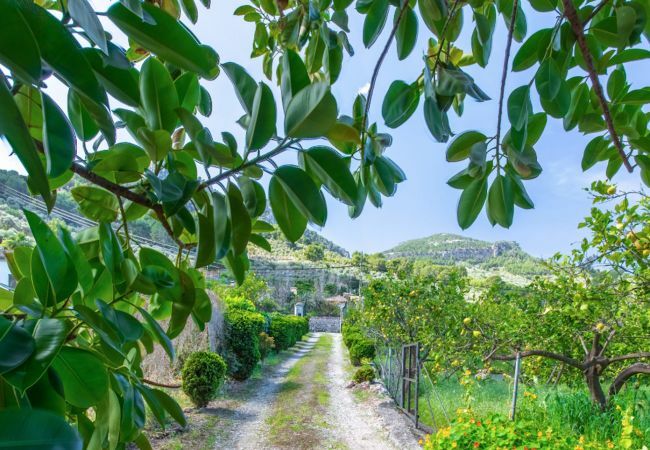 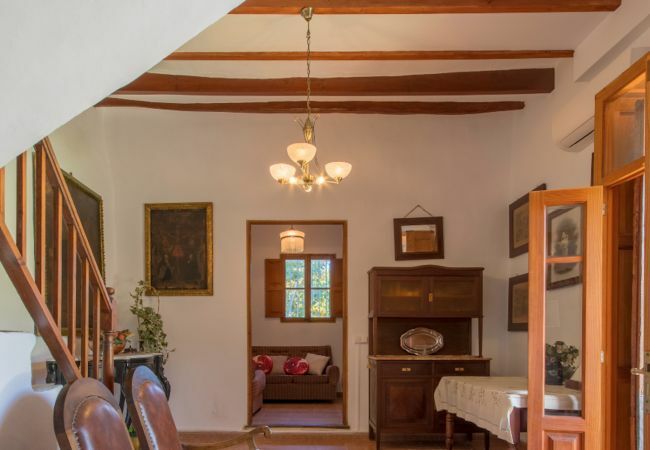 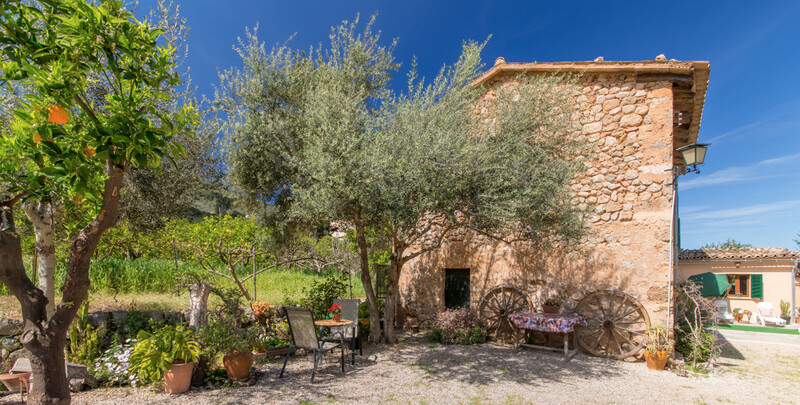 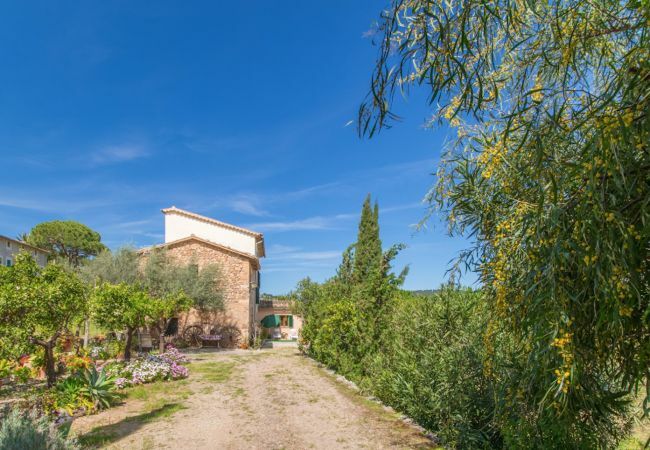 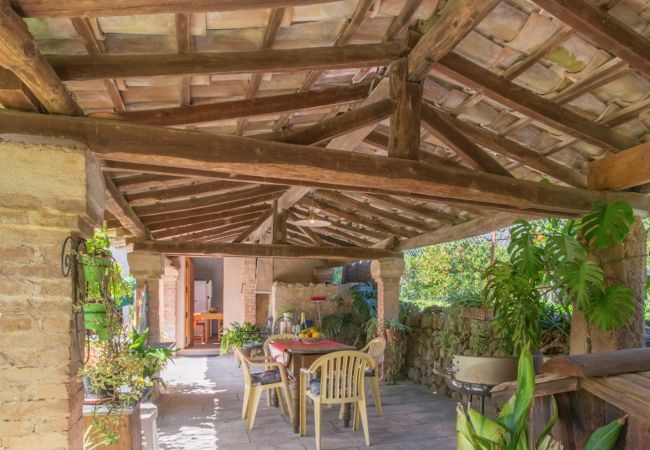 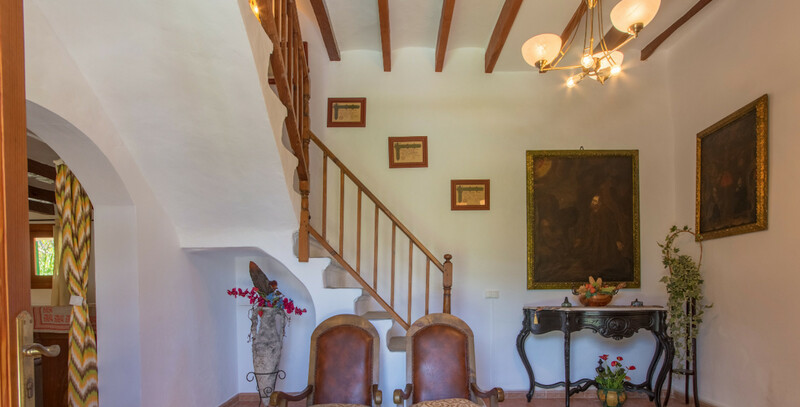 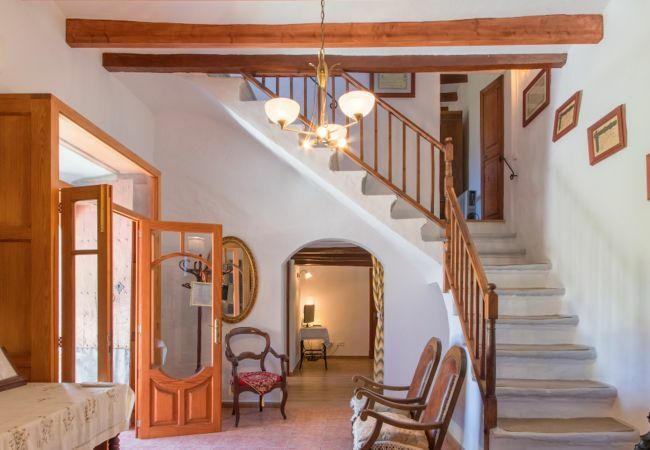 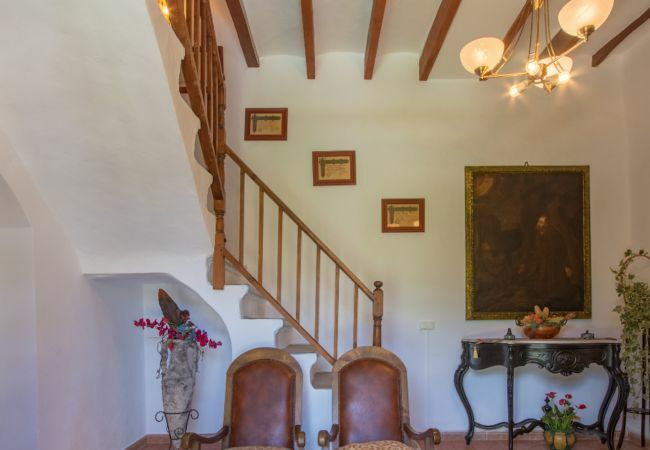 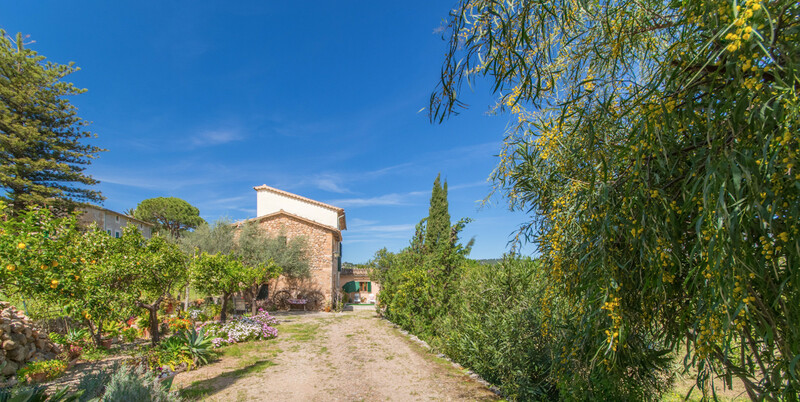 Villa Alfabia Sóller is a classic and beautiful rural house located in the Orange Tree Valley, in the heart of the picturesque town of Sóller. 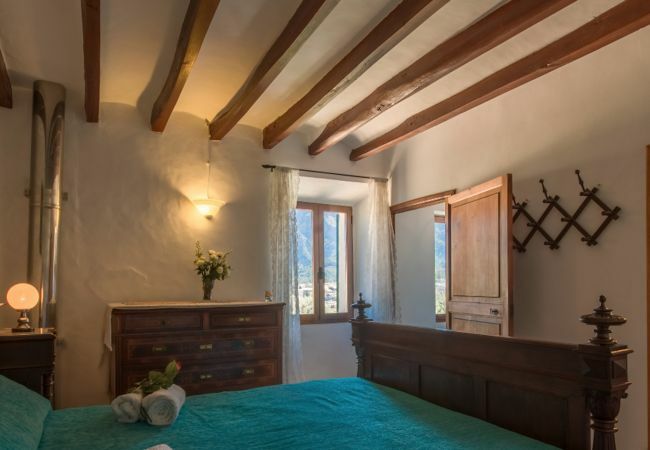 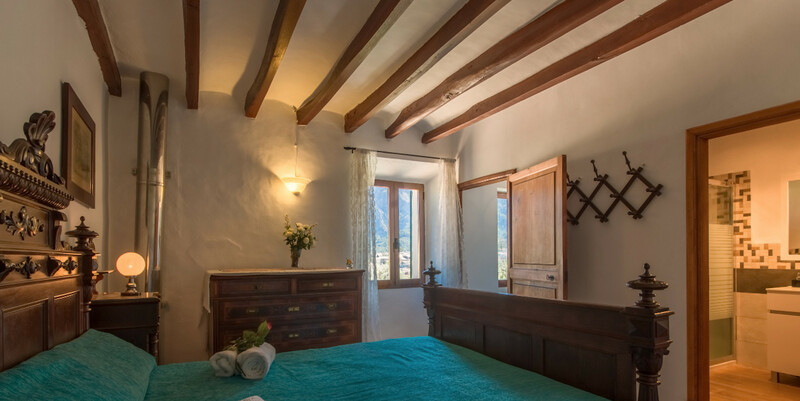 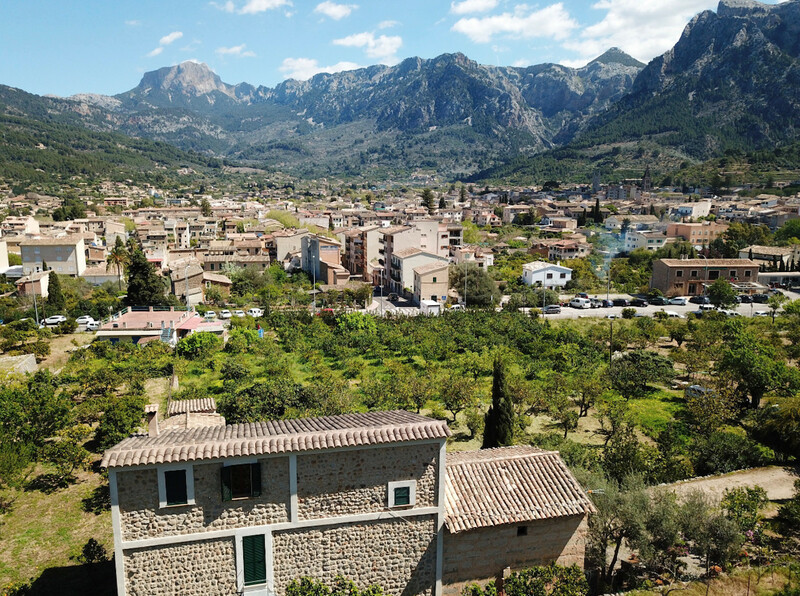 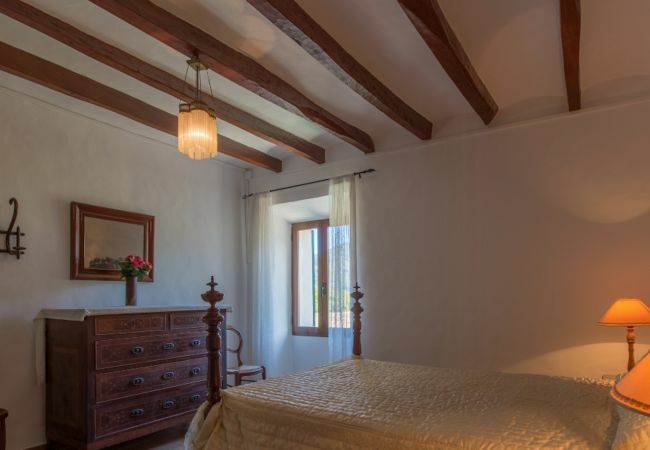 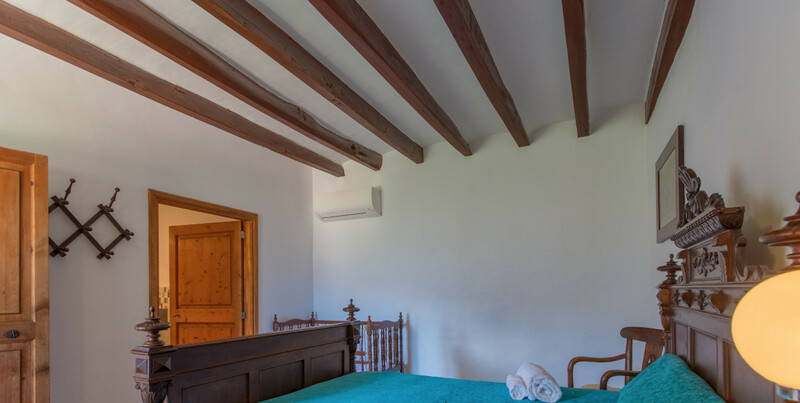 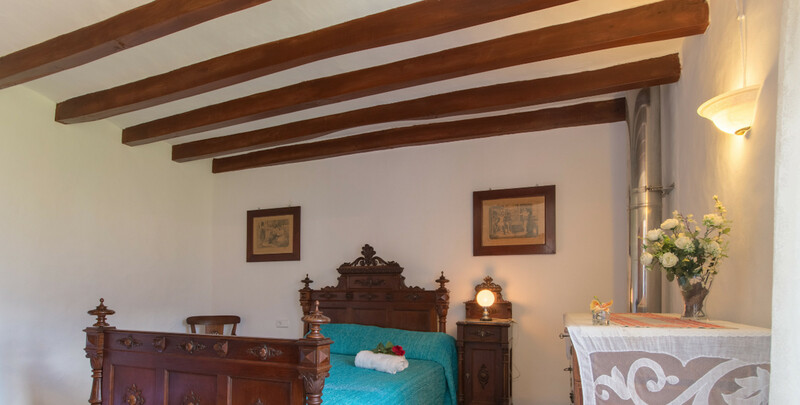 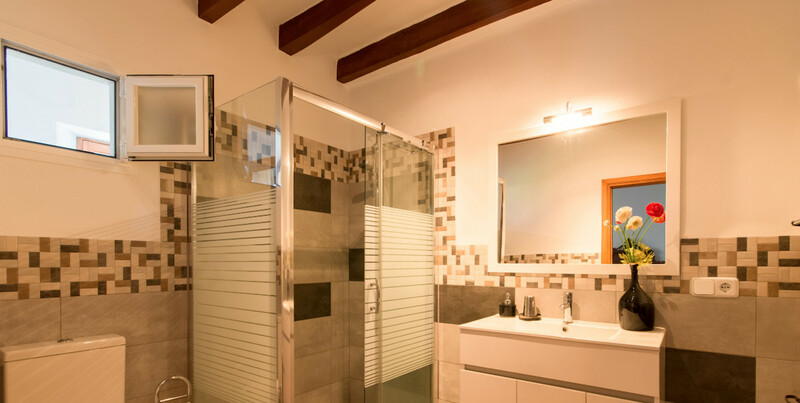 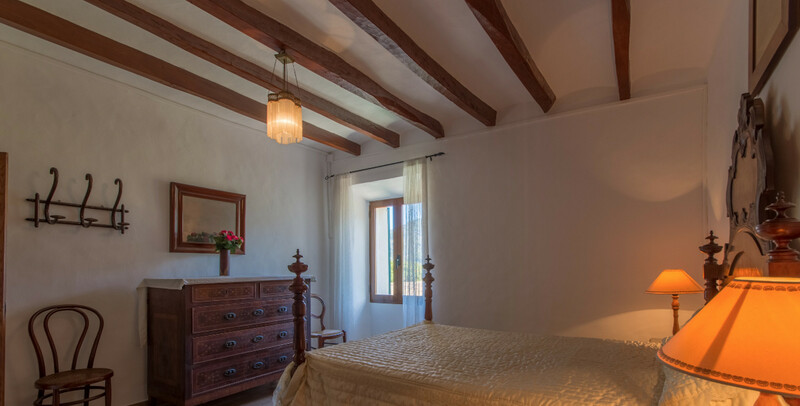 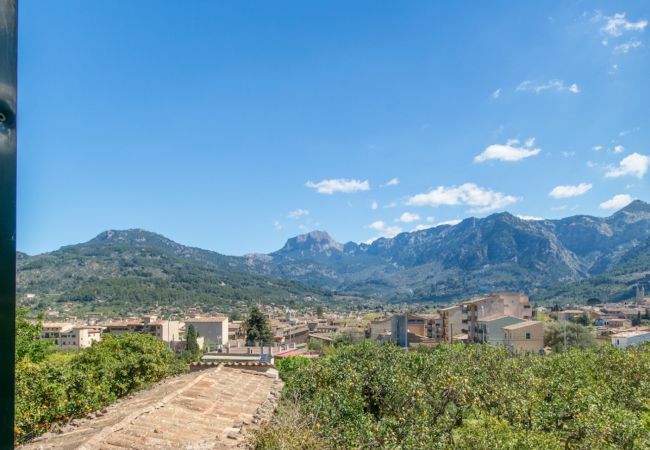 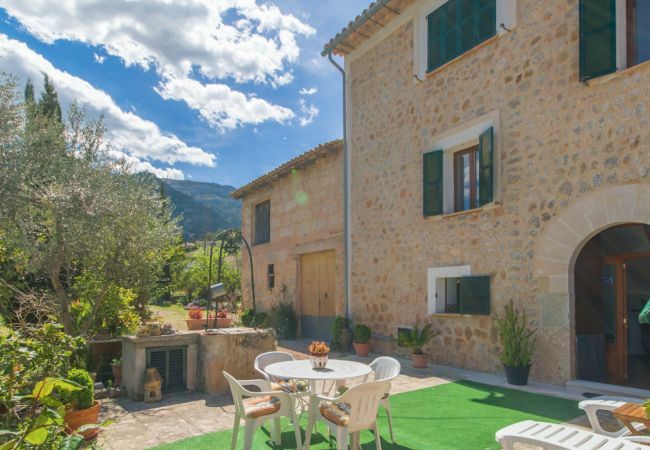 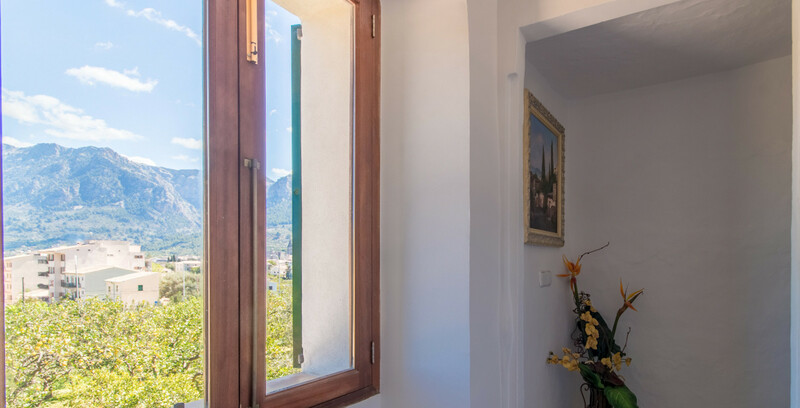 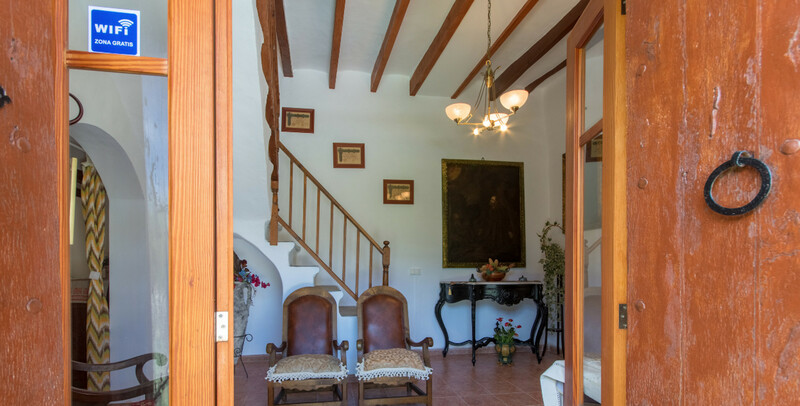 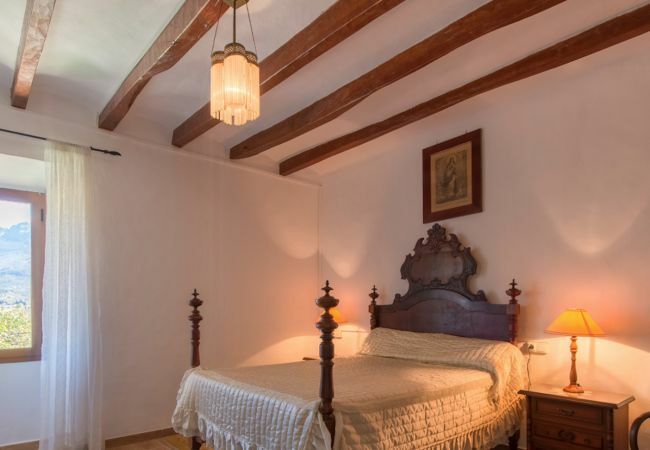 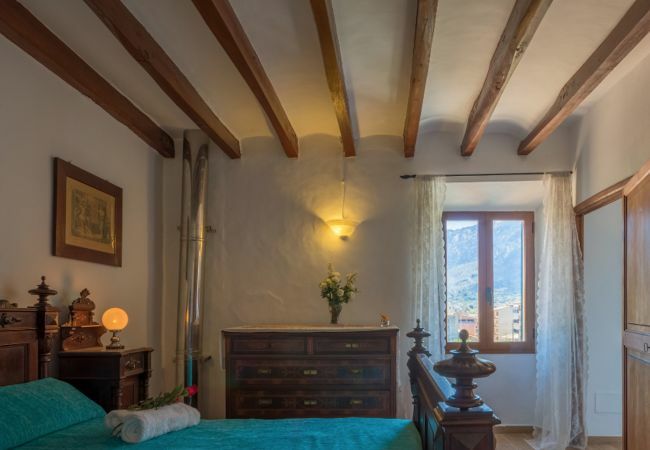 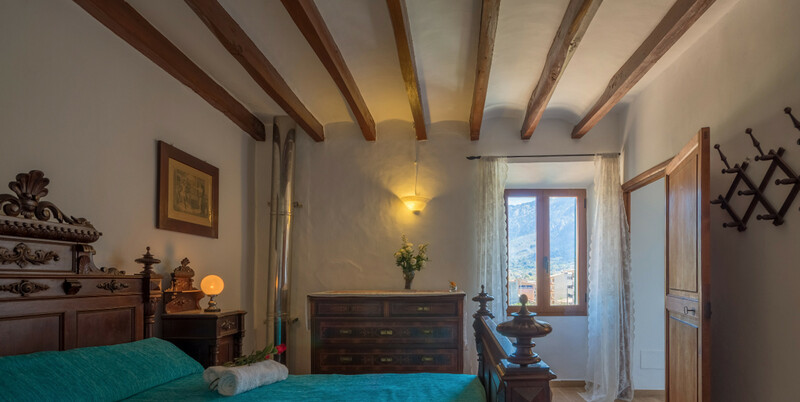 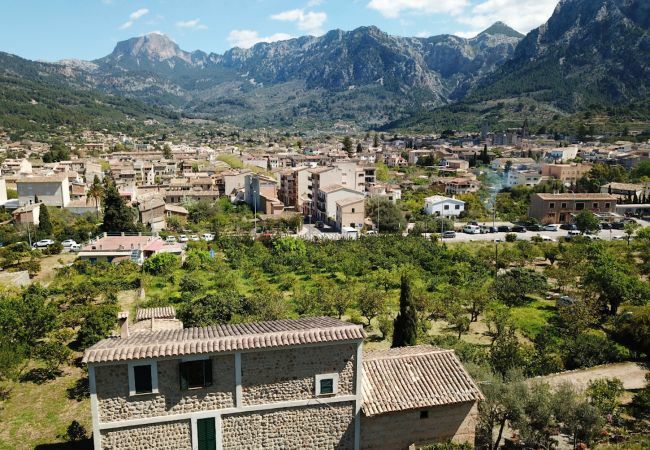 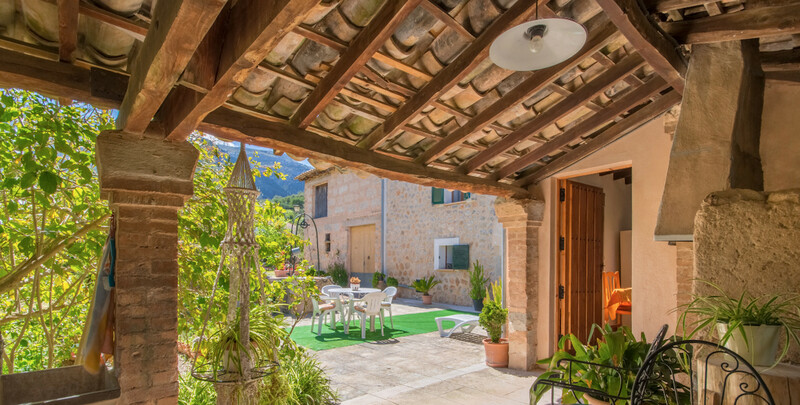 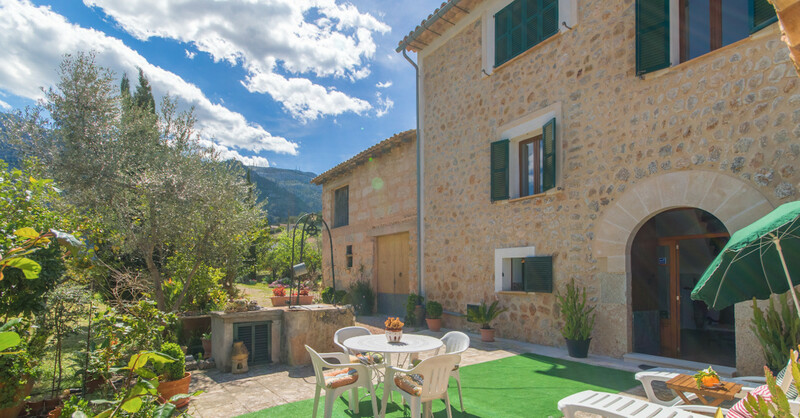 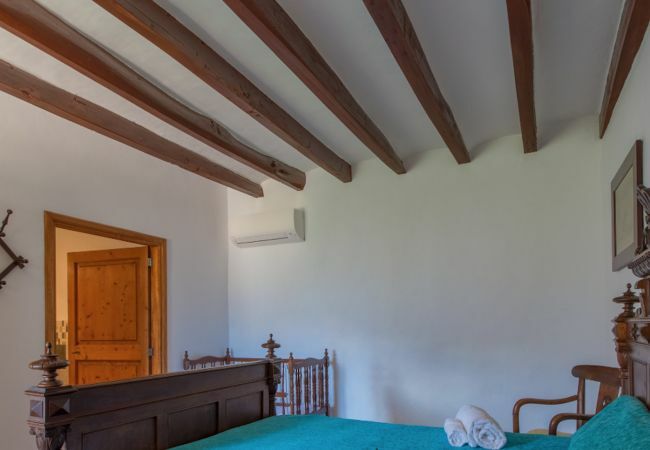 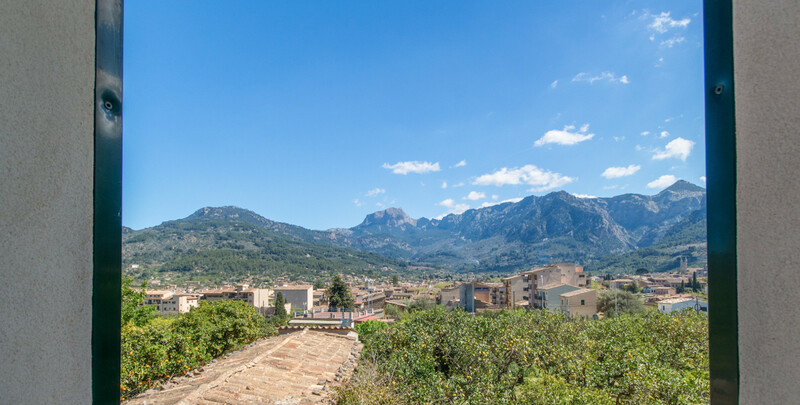 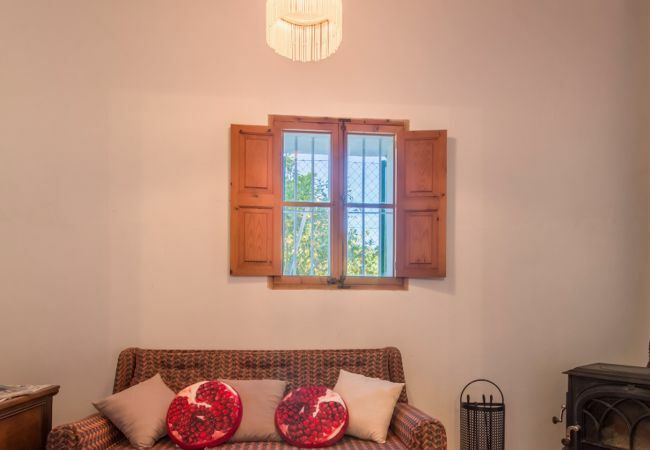 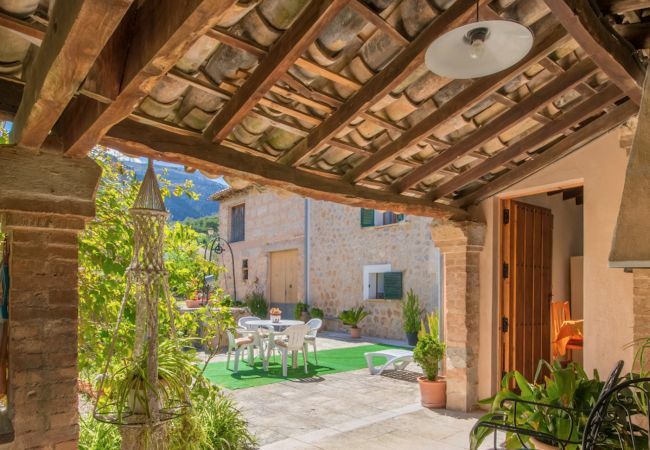 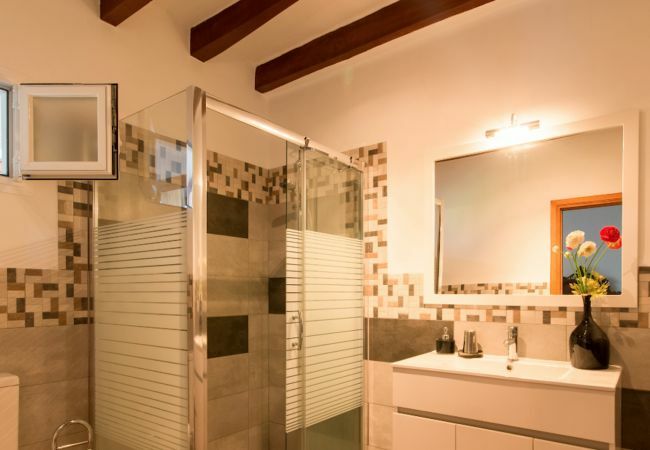 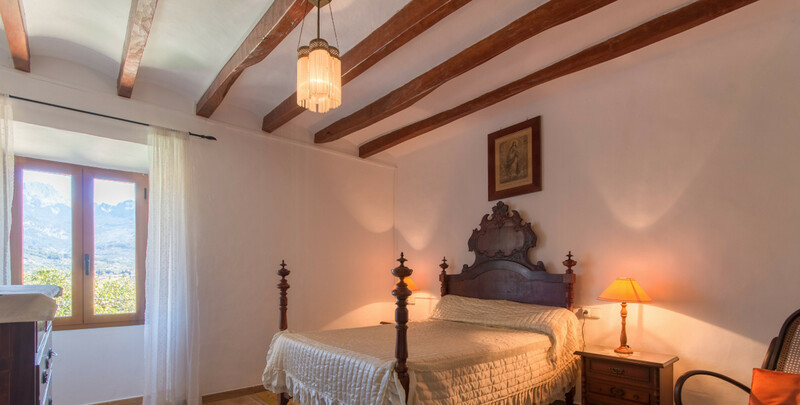 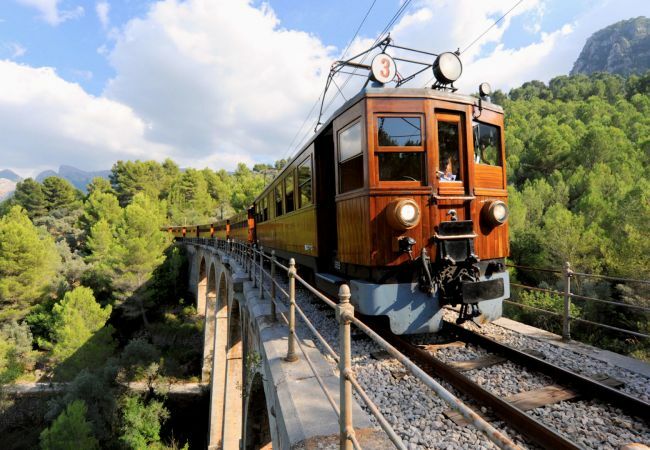 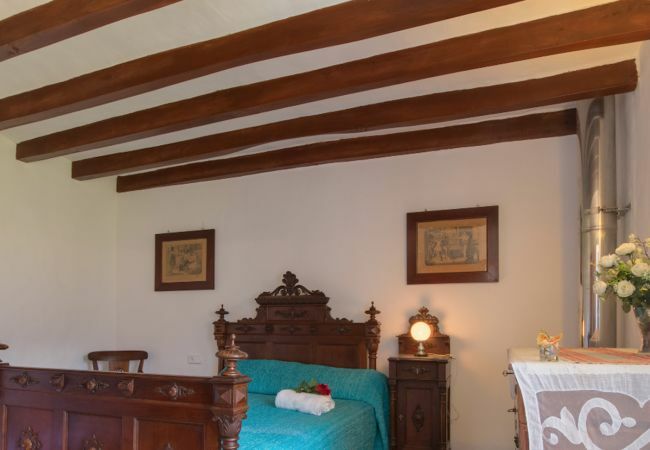 Its 2 large bedrooms have views of the valley and the Serra de Tramuntana, declared World Heritage by Unesco. 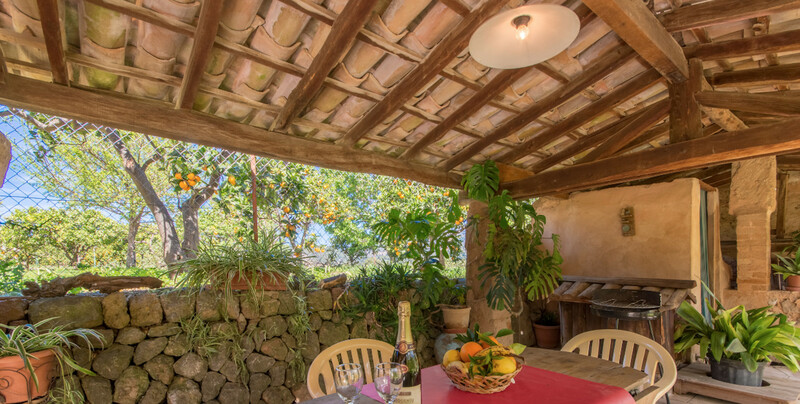 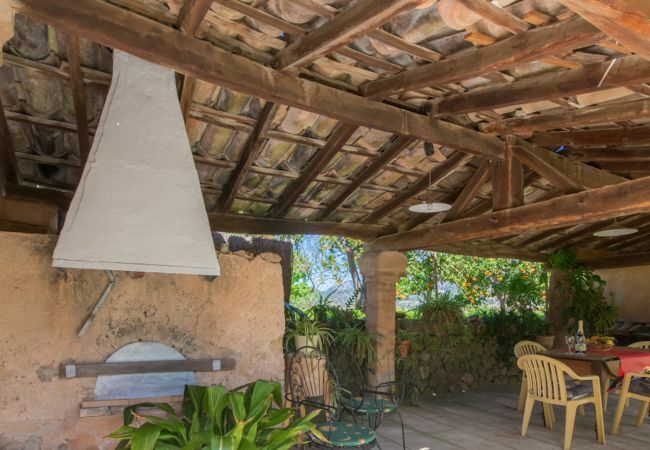 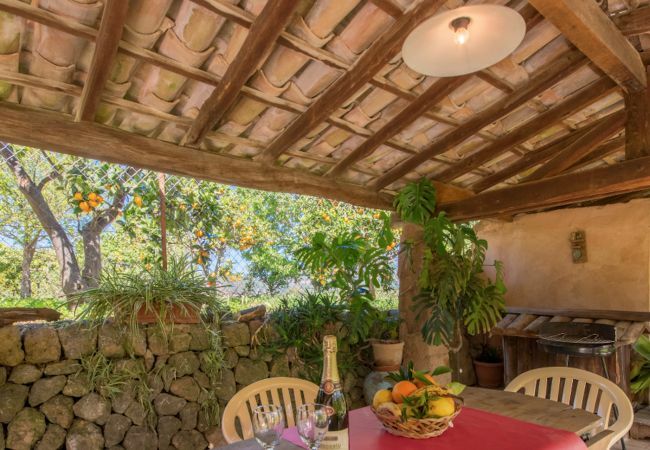 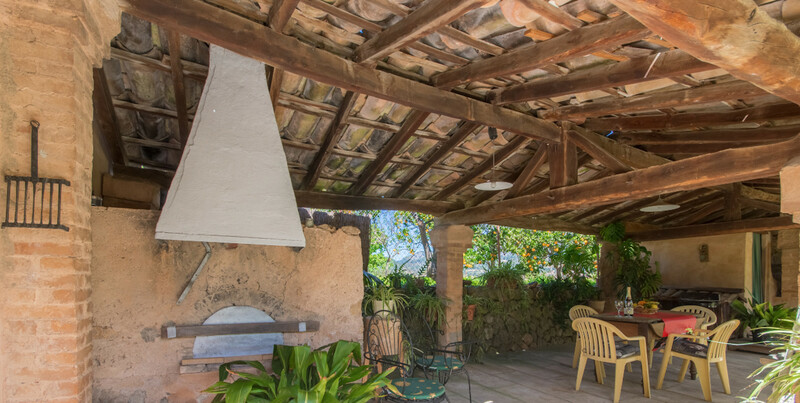 Its large terrace and its orange grove will delight those who love to relax outside. 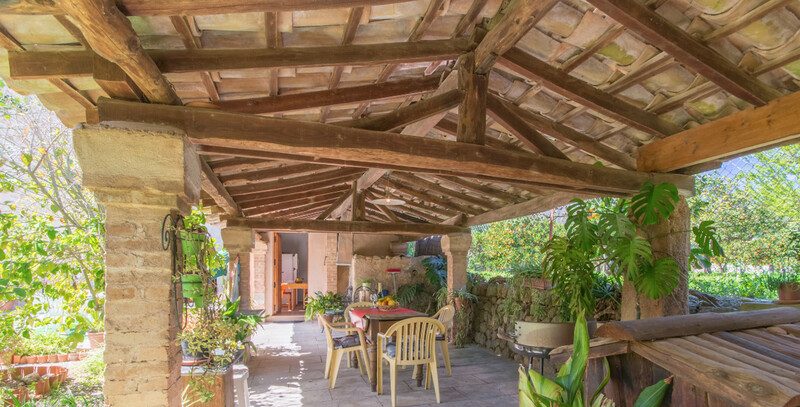 It is the ideal house for families, for its capacity for 4 people. 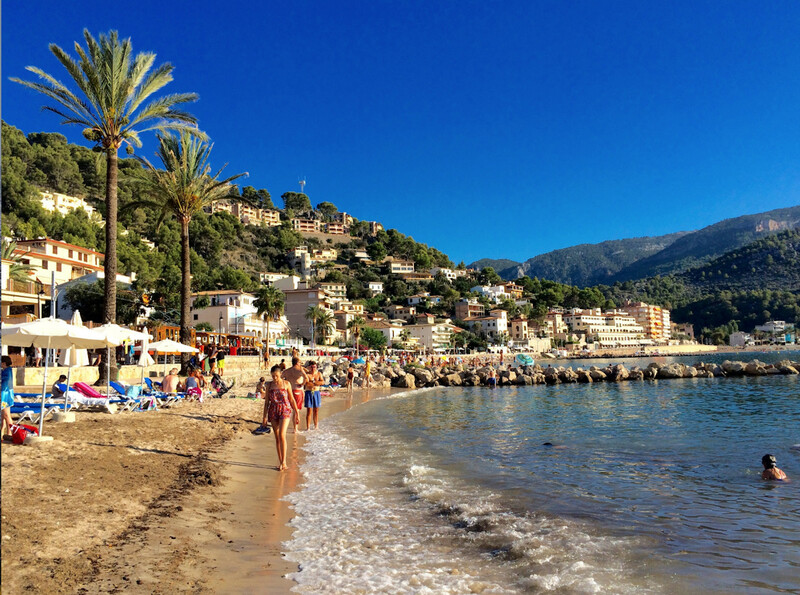 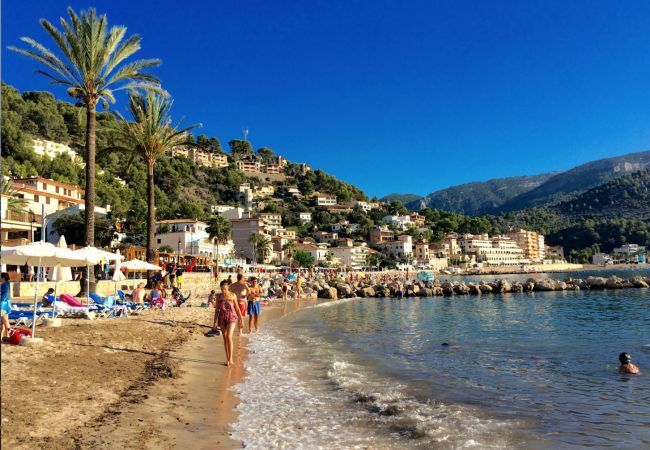 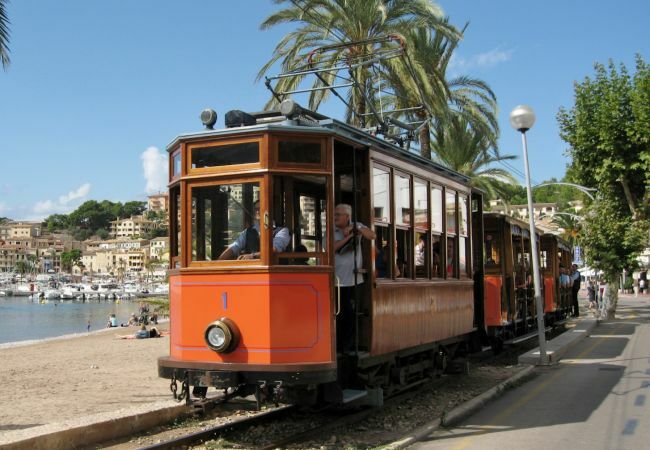 It is also only 10 minutes by car to 15 minutes by tram from Puerto de Sóller and its fantastic beach. 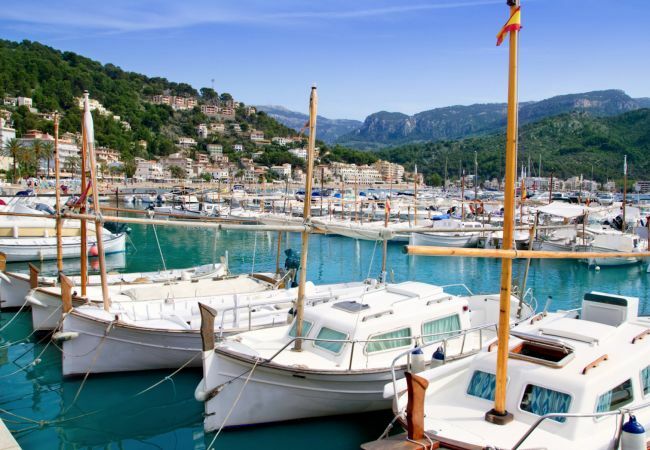 The romantic fishing port and its restaurants are world famous for their delicious prawns and fresh fish. 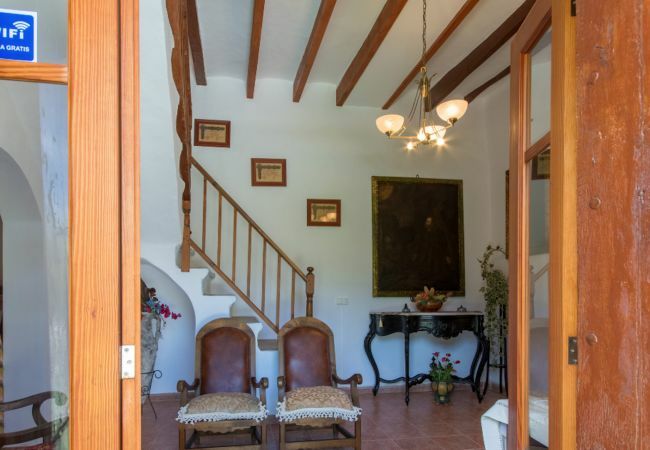 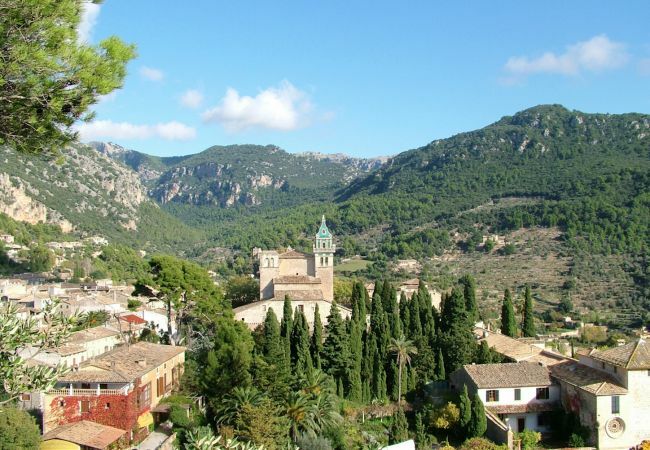 The center of the town of Sóller is only 10 minutes walk from the property. 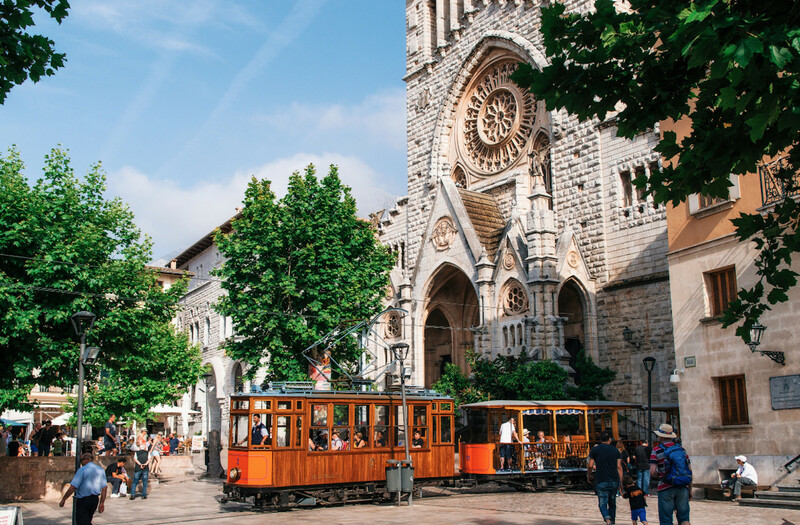 The Church is San Bartolomé dominates a beautiful square, where you can eat tapas or drink coffee. 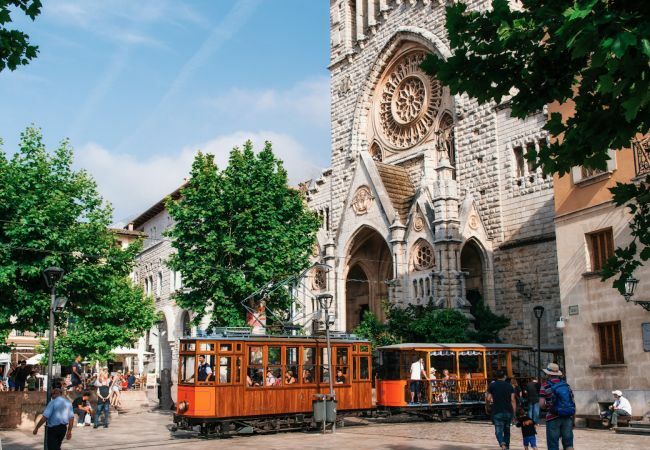 The streets of the center of this fairytale city are full of local shops, which sell local fruits and vegetables, such as handicrafts and clothing. 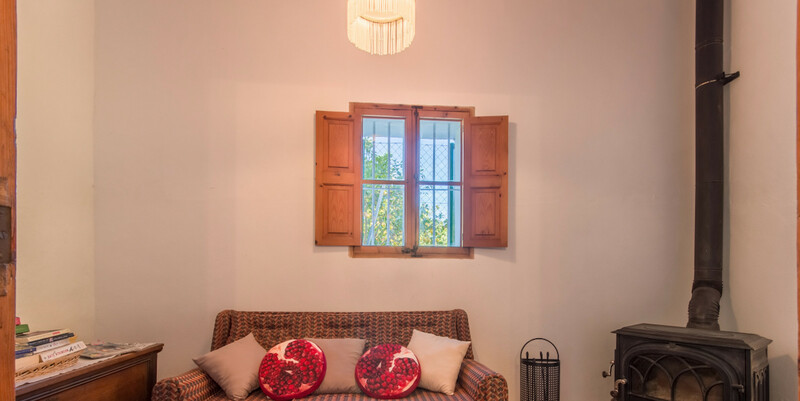 Undoubtedly, this house is the ideal choice for a relaxing vacation. 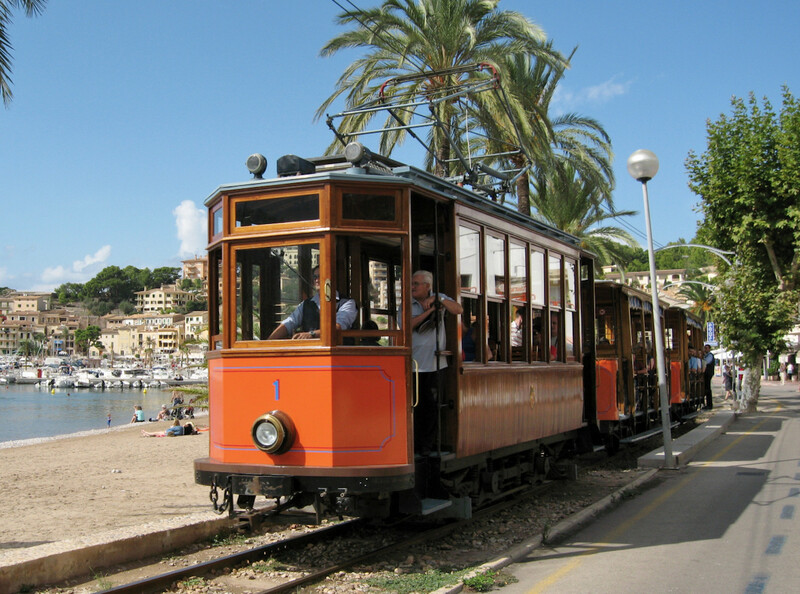 It is recommended to rent a car, to be able to enjoy everything that the north coast of Mallorca has to offer. 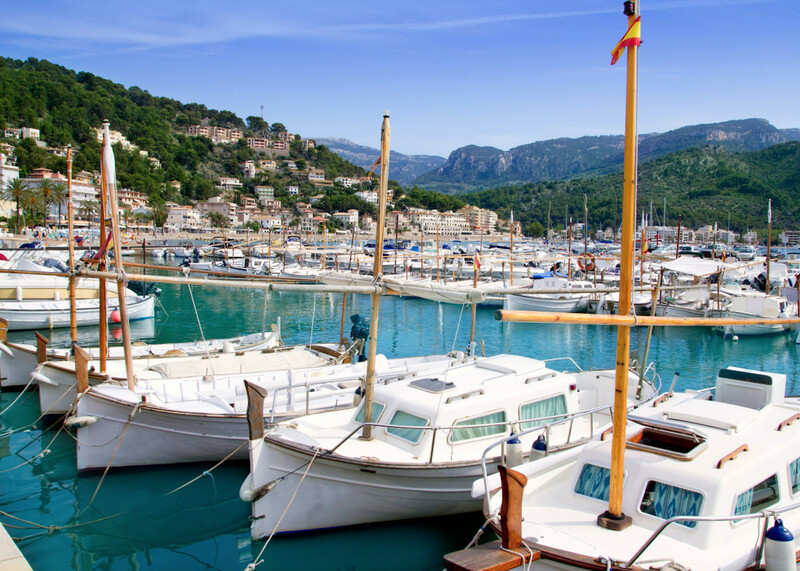 The capital of Palma and its airport are only 30 minutes away by car. 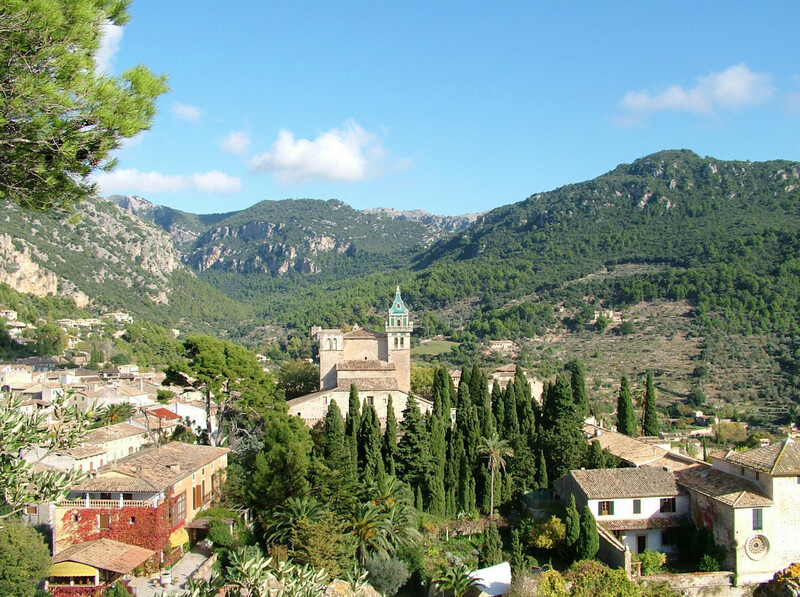 Deia to 15 and Valldemossa to 25 minutes by car respectively. 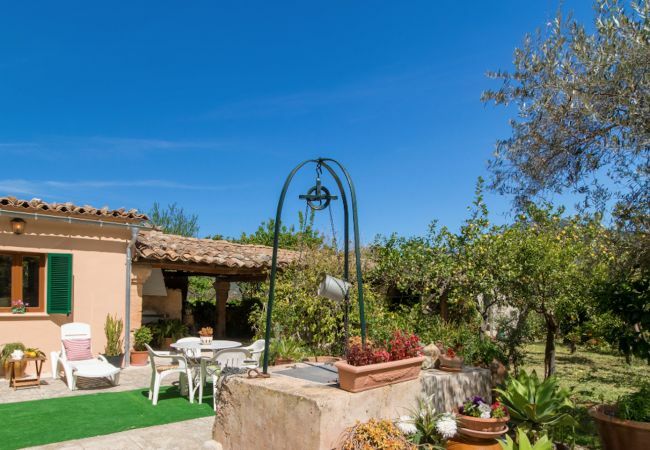 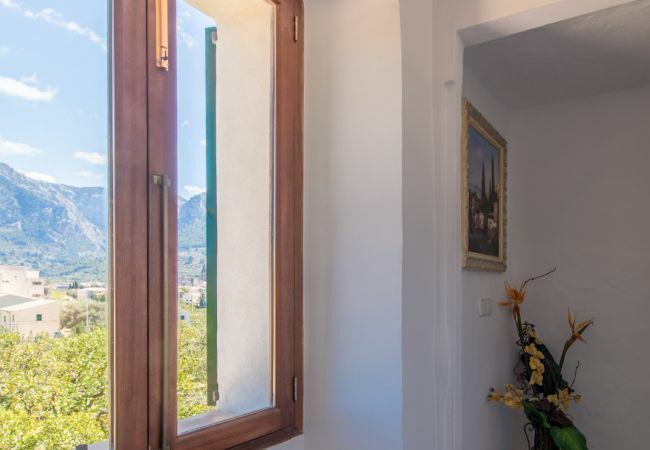 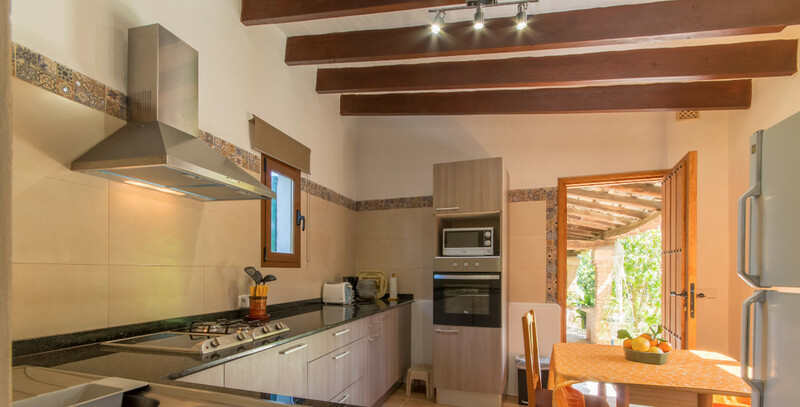 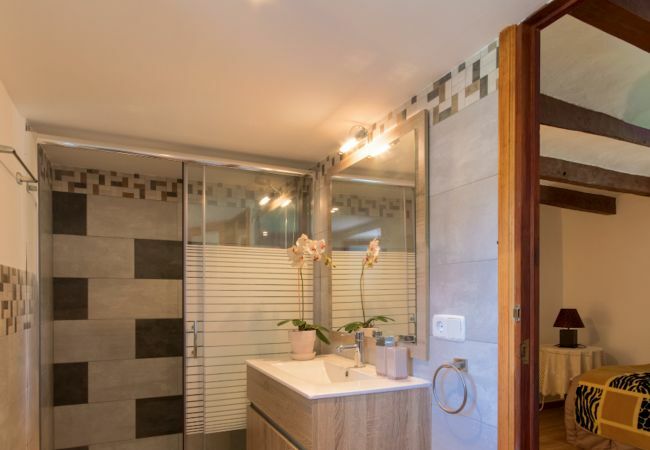 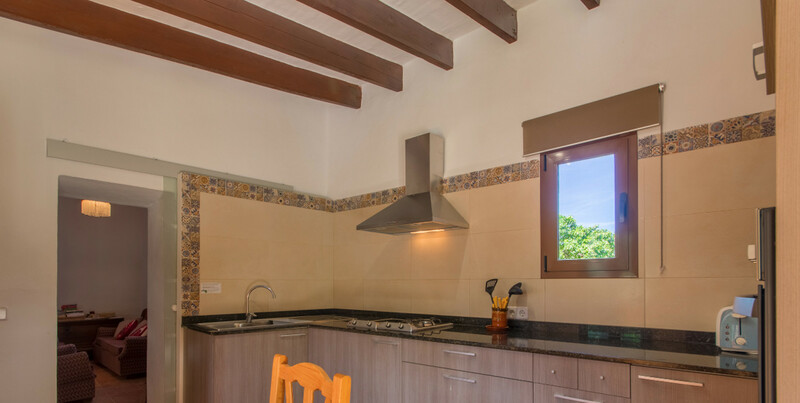 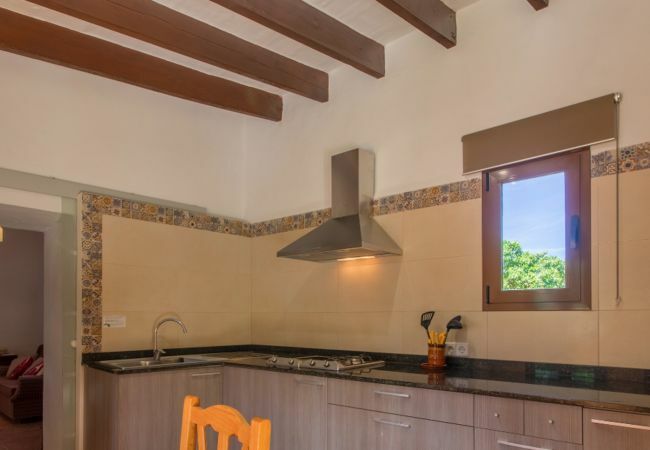 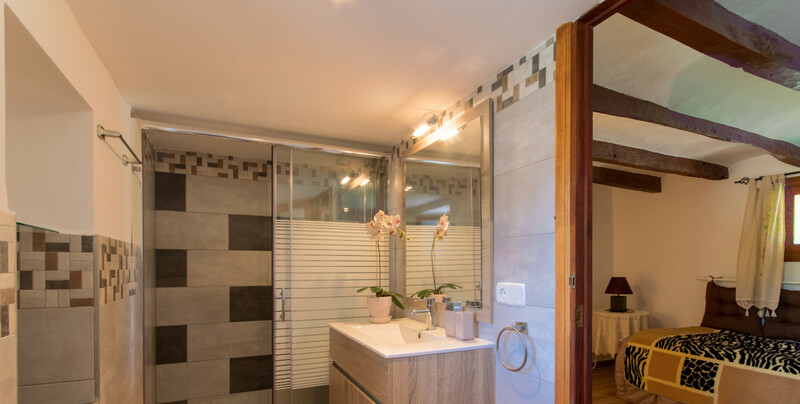 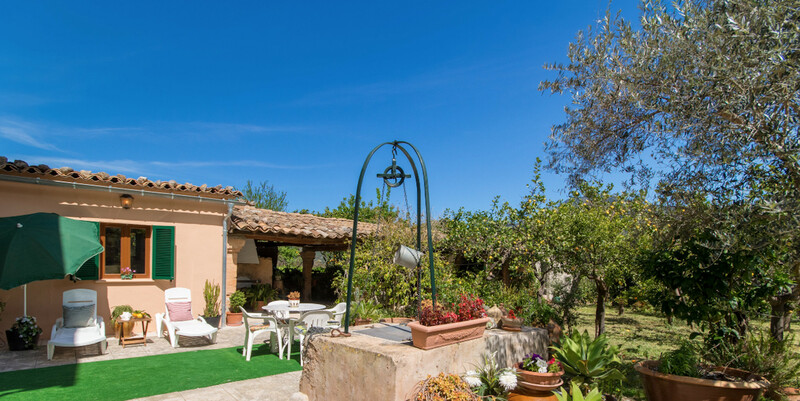 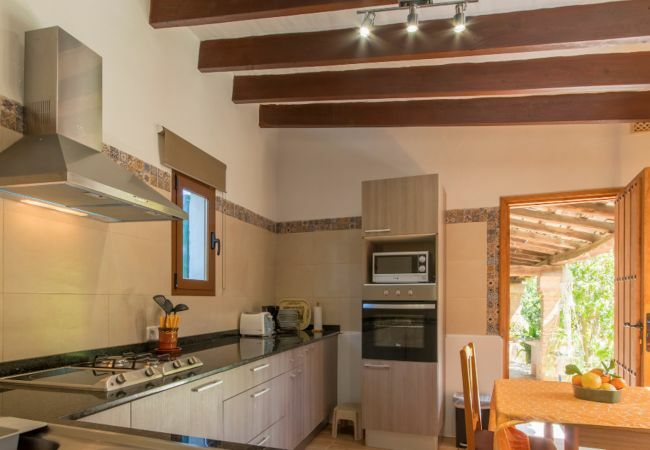 - 1 TV, TV Satellite (Languages: Spanish, German, French), garden, garden furniture, fenced garden, 50 m² terrace, barbecue, fireplace, iron, internet (Wi-Fi), hair dryer, 150 m² property, 5,000 m² plot, air conditioning (hot/cold), air-conditioned, Open-air parking (3 places) in the same building.